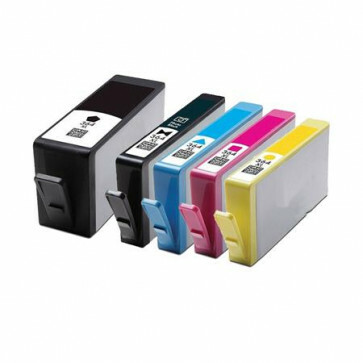 5 Multipack HP 364XL BK/C/M/Y/PBK High Yield Remanufactured Ink Cartridges. 12 Multipack HP 364XL High Yield MultiMultipack Cartridges. Included 3 Black, 3 Photo Black, 2 Cyan, 2 Yellow 2 Magenta Re-manufactured Ink Cartridges. Shipping was fast and received product in a timely manner. Arrived ahead of stated time. Excellent packaging and conditions as described. Easy to order and received product in timely manner. The delivery time was within the time promised, my previous order is working excellently and inkjetsclub prices are competitive with other remanufactured ink cartridge suppliers so long as they continue working as well as they currently are doing. Everything was prompt. Great Deal. Will be using again! So happy I found Comp & Save Ink, the savings are fantastic! This is my second order. As with the first, I saved a lot of money and received my printer ink quickly. I will never order my printer ink from any other source. These ink cartridges work quite well and you can't beat the value. Plus, they arrived in two days! Service was very prompt and I am very satisfied with the ink performance. I will definitely order again.